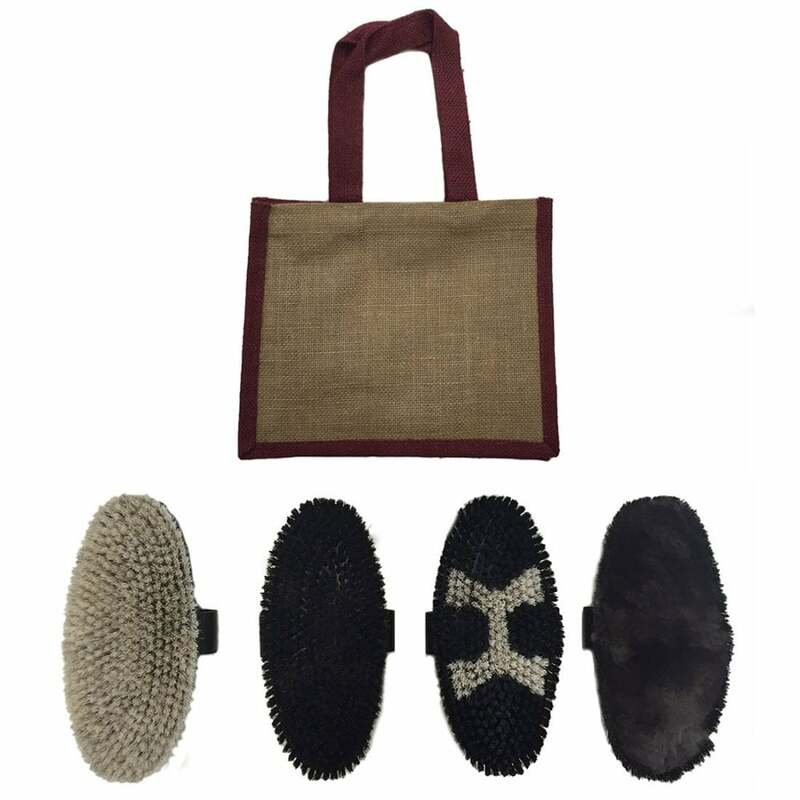 The HAAS Light Bay/Chestnut Pack offers you a great set of brushes specifically designed for your light bay or chestnut horse. This four brush set combines to give a great glossy finish. HAAS Military brush - A strong horse hair mixture giving a thorough cleaning effect, great for removing dust. HAAS Coat Gloss brush (Fellglanzburste) - A light, soft, thickly woven horse hair. Excellent for sensitive horses and sensitive areas. HAAS Diva Exklusiv - A super soft lambswool centre with a soft horse hair boarder gives a beautiful glossy finish. The HAAS Light Bay/Chestnut Pack is a great addition to any grooming box.